Originally from Cuba, after living in Puerto Rico for many years, Gisela became a Miami resident in 1973. Her employment experience includes working in the radio business and other educational institutions. 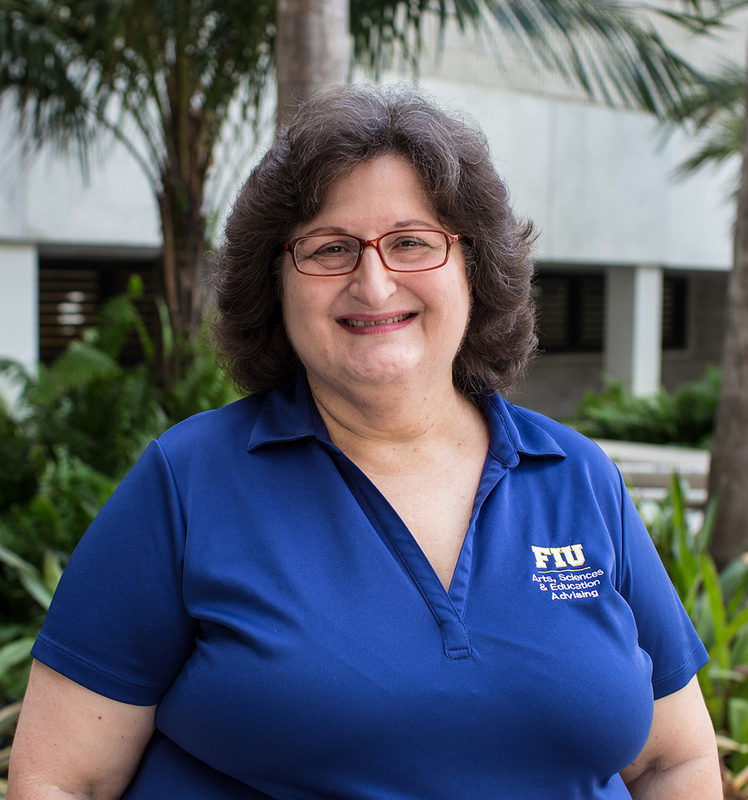 She came to FIU in 1992 where she has worked in both campus life and admissions/registration. After earning a Bachelor’s degree in Psychology at FIU, she began her academic advising career at the College of Arts, Sciences & Education's Center for Academic Services in 2007. In addition to her current student case load for interdisciplinary Studies, Liberal Studies and Women’s & Gender Studies, Gisela’s focus is helping outgoing Arts, Sciences & Education transient students as well as posting the College's foreign language requirement.